That is the claim made by a recent e-mail I received from Moveon.org. And that’s just a partial list of the hate crimes directed at Muslims—and those mistaken to be Muslim because of the color of their skin—sweeping the country. The only way to stop it is for all of us who reject hate to speak out. Loudly. That’s why we’re helping jumpstart a nationwide campaign called “Hate Has No Business Here.” We’re organizing small-business owners, community centers, libraries, schools, town halls, places of worship, and others to stand up against Islamophobia. Will you chip in $3 and help stand up against anti-Muslim hate crimes? The wave of Islamophobia since the Paris attacks is terrifying, and the FBI was reporting a disturbing rise in anti-Muslim hate crimes even before Paris. And with Republican presidential candidates whipping up fear, things could get out of control fast. Now we’re teaming up with them and the Main Street Alliance to get these signs posted in businesses all over America. Your donations will allow us to distribute thousands of posters—and expand the campaign to public spaces across America. We’ll collect stories and photos and drive media coverage to push back against the stories of hate and violence. Will you chip in $3—and help stand up against anti-Muslim hate crimes? In the wake of our “We Are Better Than This” ad campaign in The New York Times, we’ve all been looking for more positive steps we could take, together, to turn the tide against hate and religious, racial, or other profiling. “Hate has no business here” is right in that spirit. There are many among the progressive left who have a heavy emotional investment in the idea that the American people are racist, intolerant, ignorant rednecks who have to be restrained from going on a murderous frenzy against the Muslims. I suppose this gives them a pleasant feeling of superiority over their countrymen. Hate crimes of all types are, thankfully, fairly rare. And it is true that hate crimes against Jews outnumber the number of hate crimes perpetrated against Muslims. The FBI reported that in 2014, there were 609incidents of hate crimes against Jews and 154 against Muslims. Case closed? Not quite. This could, after all, be an example of lazy reporting. Sure, the raw number of hate crimes against Jews is higher, but national crime statistics are typically reported as a rate: number of crimes per 100,000 population. Although estimates of the Jewish population in the U.S. were fairly stable across various websites, estimates of the Muslim population varied dramatically – anywhere from 2.1 million to 6.7 million. The Pew Research Center’s 2014 Religious Landscape Study seemed to offer the most reliable and objective statistics on religious affiliation in the United States. According to the Pew study, Jews and Muslims both represent fairly small proportions of the U.S. population, coming in at 1.9% and 0.9% of the U.S. population as a whole. With a total U.S. population of 318.9 million as of 2014, there are approximately 6.1 million Jews and 2.9 million Muslims in America. Easy math tells us that although there are roughly twice as many Jews in the U.S. than there are Muslims, hate crimes against Jews occur four times as often. Expressed as more official rates per 100,000 population, Jews suffer from hate crime incidents at a rate of 10.05 incidents per 100,000 population while the Muslim rate is roughly half as much, at 5.37 incidents per 100,000 population. Meanwhile in Europe, there has been a significant rise in anti-Semitic hate crimes over the past few years, with the rapidly increasing Muslim immigrant population largely responsible. Added to that the fact that there is no place in the majority-Muslim Middle East, outside of Israel, where a Jew can expect to live in peace, and it begins to seem as if the Muslims are far more often the persecutor than the persecuted. These facts do not excuse hate crimes against Muslims, but they do shatter the narrative of the poor, persecuted Muslims suffering at the hands of the bigoted, Islamophobic Americans. When you consider the number of terrorist attacks against the United States and its allies committed by Muslims over the past decades, American people have shown a remarkable degree of patience and tolerance. If some Christian terrorist organization had been committing attacks like 9/11 in any Middle Eastern country, by now there would not be a Christian alive throughout the entire Middle East. Even now, Christians in the Middle East are in serious danger of extermination for the heinous crime of existing. As that article points out, hate crimes are rather rare in present day America. Hate crimes make the news precisely because they are something out of the ordinary. If America was really the nation steeped in bigotry that Move0n.org imagines us to be, hate crimes would be a daily occurence, hardly worth mentioning in the news. In fact, in many ways the United States is among the most tolerant nations and Western nations generally are more tolerant than non-Westerners. Yes, we do have a history which includes slavery, segregation, imperialism, etc, but these sort of things are the norm in human history. We are the exception in that we decided such things are wrong and should be stopped. If Moveon.org is concerned with the ill-treatment of religious minorities, their efforts would be better focused in places like the Middle East. The Council on American-Islamic Relations has called for Dr. Ben Carson to withdraw from the presidential race because of his remarks on whether he would support a Muslim for president. Here is the article I read from CNS news. The Council on American-Islamic Relations (CAIR) plans to call Monday for Republican presidential candidate Ben Carson to withdraw from the 2016 campaign after the retired neurosurgeon said Islam was not consistent with the U.S. Constitution and that he would “absolutely not” advocate having a Muslim in the White House. “Mr. Carson clearly does not understand or care about the Constitution, which states that ‘no religious test shall ever be required as a qualification to any office,’” said CAIR national executive director Nihad Awad. I can understand if Nihad Awad is more familiar with the details of Sharia law than the US constitution, but the provision barring any religious test does not apply to the voters. They can vote for, or against, a candidate for any office for any reason at all, including not liking the candidate’s religious beliefs. The constitution forbids the federal or state governments from imposing a religious test or qualification to bar candidates from running. For example, in the presidential elections of 1928 and 1960 the Catholics Al Smith and John F. Kennedy ran for the presidency. Many non-Catholic voters did not believe that a Catholic should serve as president and voted for their opponents. That was their decision to make. There was no religious test or qualification to bar either man from running. Anyway, here is a transcript of some of Dr. Carson’s remarks. See if they are really so controversial, at least among sensible people not blinded by the fear of that bogeyman Islamophobia. Appearing on NBC’s “Meet the Press” on Sunday, Carson was asked his views on the faith of an American president. “Should a president’s faith matter – should your faith matter to voters?” asked host Chuck Todd. “So do you believe that Islam is consistent with the Constitution?” Todd asked. I am not sure that I would completely agree with Dr. Carson in saying that I would not under any circumstances vote for or support a Muslim candidate for office. Much would depend on the candidate. I am fairly certain, however, that I would not support any candidate of any faith which CAIR would support, given their links to the terrorist organization Hamas and the Islamic supremacist views held by their founder. Of course, a great many people in the United States expressed similar concerns about the first two Catholic candidates for president. For much of the history of the United States, it was taken for granted, by the Protestant majority, that Roman Catholicism was not compatible with American political values. Such concerns were enough to defeat Al Smith in 1928, among other factors. Kennedy, in 1960, felt a need to address a gathering of Protestant clergymen in Texas to assure them that as president he would put the constitution before his Catholic faith. This wariness on the part of many Americans, although a product of anti-Catholic prejudice, was not entirely unjustified. Until Vatican II, the Roman Catholic Church had not been a consistent supporter of the liberal, democratic values this nation was founded upon. (By “liberal” I mean, of course, the political ideology emphasizes human rights, democratic rule, and free market economic, the ideology of the founding fathers and the nineteenth century British Whigs, rather than the ideals of the socialist progressives who hijacked the term in the early twentieth century. Ironically, it is the conservatives in America that uphold classically liberal values, while the liberals in America cling to primitive collectivism) The Papacy had also been suspicious of every political idea that had been developed in the wake of the American and French revolutions, denouncing such ideas as democracy, government by the consent of the governed, freedom of religion, separation of church and state, as errors and part of the heresy of modernism. As late as 1864, Pope Pius IX had denounced all such modern, secular ideologies in his Syllabus of Errors, to the considerable embarrassment of American Catholics, who had been at pains to show that being a good Catholic was compatible with being a good American. It wasn’t until Vatican II that the Church became reconciled with liberalism. Of course, the truth was that while American Catholics looked to Rome for spiritual leadership, few, if any, American Catholics took advice on how to vote from the pope. There was no movement among American Catholics to replace the constitution with a theocracy ruled by the Pope. Then too, the Roman Catholic Church was itself a major part of the Judeo-Christian heritage on which Western civilization was based, and this heritage included the concept of the human dignity of even the lowest person in society who had rights granted by his creator. If the Catholic Church was slow to accept the development of liberal ideas, Catholic philosophers had at least laid the basis for them. Even the concept of separation of church and state is implied in Christianity with Jesus saying such things as, “My kingdom is not of this world” and “Render unto Caesar that which is Caesar’s” and was enunciated in Pope Gelasius I’s Duo Sunt which held that princes and bishops each had their own separate spheres. Perhaps the Muslims are in a similar position as Catholics before the election of Kennedy. Islam may seem incompatible with American political values, but that does not mean that individual Muslims may not be good Muslims and good Americans, just as many American Catholics were both good Americans and good Catholics. I am skeptical, though. Islam is not part of the heritage of our Western civilization and considering the utter failure of liberal democracy taking root in the Islamic world and the abysmal human rights records of most majority Muslim countries, one could make a very good argument that Islamic political values are opposed to and hostile to Western values. In Islam a person is a slave of God, not a son to be redeemed by sacrifice. Sons have rights, slaves do not. It is not surprising, then, that individual human rights have never been very prominent in Islamic political theory. Mohammed was a prince as well as prophet, so there is no concept of separation of mosque and state. It seems to me that while one can be either a good American or a good Muslim, it must be very difficult to be both a good American and a good Muslim. And, unlike the situation with the American Catholics, there are Islamic organizations, like CAIR, that would like to replace the constitution with Sharia law, and a disturbing number of American Muslims who support that idea. I wouldn’t necessarily refuse to vote for a Muslim candidate on the basis of his faith, but I think that Dr. Carson is closer to the truth of the matter than CAIR, or the foolish would-be dhimmis who denounce honest discussion as Islamophobia. Quiz: How much do you know about the U.S. Constitution? (pbs.org) Most Americans know nothing about the constitution. I have been called a bigot twice in the past week. To be honest, I am not at all offended. Whatever the origin of the word “bigot” (from French meaning a religious hypocrite, perhaps originally from German “bei Gott” or by God), the contemporary meaning of the word is increasingly one who tells truths the left doesn’t want to hear. The first time was I was called a bigot was over my insistence that Bruce/Caitlyn Jenner is still a man no matter how strongly he feels that he is a woman. To tell the truth, I am just about over that particular struggle against reality. In fact, I would have nothing to say about Mr. Jenner’s life choices were it not that it illustrates a distressing tendency among our intellectual and media elite to consider that feelings and words determine the nature of reality better than actual, empirical observations and facts. But enough of that. The second time, I was not personally called a bigot. A Facebook friend of a friend posted a link and video describing some recent atrocities committed by some practitioners of the Religion of Peace. Someone commented that these people were violent extremists and their actions in no way reflected the real beliefs of the vast majority of peaceful Moslims. After all, he asserted, Islam means peace. I, and several others, including the author of the post, responded by posting quotations from the Koran and pointed out that people in the Islamic State have been following the example of Mohammed. He responded in the usual logical fashion by calling the lot of us bigots. Naturally, I was intrigued by the question of the etymology of the word Islam so I did a little research. Islam is an Arabic word, of course, and Arabic is a member of the Semitic family of languages along with Hebrew, Aramaic, Amharic, and many others. One thing that the Semitic languages have in common is that most words are formed from roots, usually of three consonants, with express basic concepts. The actual words are formed by adding vowels and affixes. The triconsonantal root that seems to be most often used as an example in textbooks and Wikipedia is K-T-B, which essentially means to write or something written. Some of the words in Arabic formed from the root K-T-B include kataba “he wrote”, yahtub “he writes”, kitab “book”, katib “writer”, maktab “desk” or “office” and many others. Hebrew also forms words from the K-T-B root, such as katabu “I wrote”. The word Islam is derived from the root S-L-M, which does mean peace, among other concepts. The Hebrew word for peace, shalom, is derived from the S-L-M root as is the Arabic for peace, salaam. Jerusalem and Solomon are names derived from S-L-M. So, etymologically, Islam is derived from the same root as peace. But, there is more to the meaning of S-L-M than “peace” and the word peace itself often means more than simply the absence of conflict. The full meaning of S-L-M includes the concepts of being whole, safe, secure, in health. Shalom and salaam used as greetings mean more than simply wishing the person greeted to be at peace, but also include a wish that for the person to be in good health and to prosper. And, as we have seen from the words derived from K-T-B, a concept expressed by a triconsonantal root can cover a range of meanings. The more precise meaning of the word Islam is submission to the will of Allah, which brings peace and well being. Most people in countries that have been attacked by Islamic terrorists believe that these terrorists are monsters, or cowardly extremists who have distorted the peaceful tenets of Islam. Surely, most the majority of Muslims want to live in peace. Only a bigoted Islamophobe would state that all Muslims are violent or that Islam encourages terrorism. This belief may be comforting to those who do not wish to face hard facts, but it is not useful because it is not true. The terrorists have more support in the Islamic world than many in the West are willing to acknowledge. This does not mean that all Muslims are terrorists or killers, but a large number are on the side of the terrorists and we ought to try to understand why. Few people fight wars just for the sake of fighting. In almost every case, those who go to war fight to make a peace more advantageous or more just for their side. The allies went to war against Nazi Germany in order to bring about a peace in which the Nazis were destroyed. If the Nazis had been victorious in World War II, there would have been peace, but not the peace that the allies would consider a just peace. When the Muslims say they follow a religion of peace, they are being completely honest. Extremists like the late Osama bin Ladin and the Islamic State do not fight and commit terrorist acts just for the sake of violence. They want peace as much as we do. The difference is that their idea of a just peace is one where the entire world is in proper submission to Allah and Islam is the the dominant, if not the only, religion. A peace in which Islam co-exists peaceably with other religions would not be not a just or honorable peace since it leaves large numbers of people still in rebellion against Allah. We like to say that the terrorists are monsters and their acts are senseless, but they do not see themselves in that way. They believe that they are fighting for a better world and from their point of view, we in the West, are the aggressors. The West and particularly the United States plays a vastly disproportionate role in setting the cultural and political norms throughout the world and our values are often hostile to the values of many devout Muslims. We believe our values, like treating women like human beings, not stoning gays, democratic governments that protect freedom of religion, are universal value held by all people of good will. They find such such values to be alien and repugnant, an offense against the divine law. When Westerners state that Islam should modernize and become more tolerant, they interpret it as an invitation to return to the state of Jahiliyyah, the time of pre-Islamic ignorance. Imagine how you might feel if your faith and your cherished values were under attack in the books, movies, music, etc put out by a foreign culture that dominates the world of entertainment. (Well, actually if you are a conservative Christian you don’t have to imagine it.) Mark Steyn and others worry about the emergence of Eurabia. Many in the Islamic world worry about the seductions of Western culture. This is why many Muslims who are good people who do want to live in peace feel sympathy for terrorists and Jihadists. They want a world at peace and in its proper place under submission to Allah and His law. That is also why drawing a connection between Islam and terrorism is not ignorant bigotry but an understanding why many Muslims believe we are an enemy that they must fight. Pretending a problem does not really exist does not make it go away and ignorance is seldom bliss. What Is A Western-Muslim Identity? (aquila-style.com) I suspect that this is what a lot of them are afraid of. At a prayer breakfast recently, President Obama admonished his audience that any religion, including our own, can be twisted into promoting the most atrocious behavior. As an example, the President cited the Crusades and the Inquisition. I don’t think that there can be much doubt among those who have actually studied history that holy war has been much more typical of Islam than Christianity. The Crusades were a response to centuries of Islamic aggression against Christendom and the idea of a holy warrior was always somewhat controversial among Christians. In Islam, on the other hand, jihad is an integral part of the faith. Inquisitions seem to have been more of a Christian problem. One never hears of any Muslim Inquisition in history. Yet there was an organized Inquisition at least once in Islamic history. In general Christianity lends itself more to the formation of something like an Inquisition and the punishment of heretics than Islam. In part this is because in Christianity salvation is not obtained by correct behavior as in Islam, but holding correct doctrine. What a Christian believes about God can have eternal consequences. This is not as unreasonable as it might seem to the modern mind. A doctor with incorrect information about the practice of medicine might kill his patient. A lawyer mistaken about the law cannot serve his client. In like manner, to the Medieval Christian, a priest or preacher who taught incorrect theology placed the souls of his flock in danger. We do not punish heretics, but we do prosecute people who make fraudulent claims and we can punish professionals for malpractice. The Medieval Inquisition, then, pursued cases of theological malpractice. I do not want to defend the Inquisition here, but I do think it is important to try to understand why such an institution was thought to be necessary during the Middle Ages. 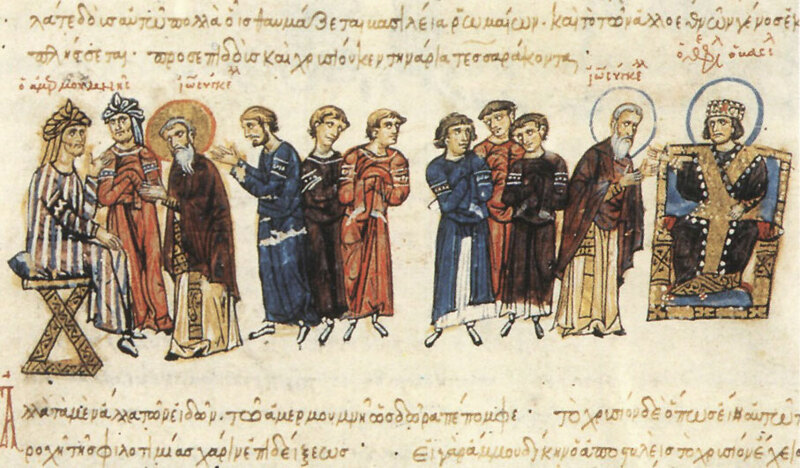 The Muslims never absorbed the Greek passion for hair splitting philosophical discussion to the extent that the Christians did, so there is no equivalent in Islamic history to the furious debates over to what extent Christ was God or man or the precise relationship of the persons of the Trinity to one another. Islamic theology is relatively simple and straight forward compared to Christian theology, so there is less scope for heresy in Islam. Most disputes between Muslims have involved differences in legal jurisprudence or the correct succession to the Caliphate rather than fine points of doctrine. This is not to say that Islamic authorities were more tolerant of heresy. Denying a fundamental doctrine of Islam such as the existence of God or proclaiming oneself to be a new prophet with revelations that supersede those of Mohammed was always a good way to lose your head. Another reason why there haven’t been Inquistitions in Islam is that unlike Christendom, church and state have never been separate entities. There has been no organized institutional church with a hierarchy of clergy as a separate source of political power and moral authority,to a greater or lesser extent opposed to the state in the Islamic world. The Caliph was always a religious leader as well as a political leader and laws were made by religious scholars based on Koranic principles. Among the functions of the state were the promotion of virtuous behavior and the propagation of the faith. Heresy could be punished by the state and there was no need for a separate ecclesiastical institution for that purpose. Nevertheless, as I said there has been at least one Inquisition in Islamic history, though it was sponsored by the Caliph and its purpose was as much the suppression of his political opponents as the eradication of heresy. This Islamic Inquisition was called the Mihna and only lasted from AD 833 until 848. This Mihna, the word means trial or testing in Arabic, was instituted by the Caliph al-Ma’mun for the purpose of imposing the beliefs of the Mutazilite school of philosophy on his government officials and judges. The Mutazilites or Rationalists were those philosophers and scholars who had studied Greek philosophy and sought to reconcile the teachings of such philosophers as Plato and Aristotle to the precepts of Islam. In particular, they adopted Greek ideas that the world is a rational place ruled by natural, logical laws that could be discovered through the use of reason. They even went so far as to teach that the nature God could be discovered by reason, supplemented by His revelations. To more orthodox or conservative Muslim thinkers, already suspicious of pagan learning, the idea that God could be known at all seemed close to blasphemy. A world ruled by natural laws seemed to infringe on the divine sovereignty of God. The particular issue on which the Mutazilites and their opponents contended was whether the Koran was created by God or is the untreated, eternal Word of God. This may seem to be a trivial cause for argument, but the controversy helped to determine the course of Islamic theology and philosophy. If the Koran was created by God, than it does not necessarily possess the entirety of God’s perfection. Not every word of the Koran need be the literal Word of God. Some verses could be allegorical or influenced by some historical or cultural context. If the Mutazilites had prevailed, it is possible that the Islamic view of the Koran would be closer to the view held by many Christians on the Bible, inspired by God but with not every verse interpreted literally. On the other hand, if the Koran is uncreated and eternal, then, in a sense , it partakes of the essence of God. There can be no historical or cultural context. Verses which seem to relate to Mohammed’s life existed before Mohammed was born or the world created. Divine laws promulgated in the Koran are for all times and places. The Mutazilite school was a movement of the intellectual elite rather than a popular movement and much of its influence came from the support of the Caliphs, especially al-Ma’mum who reigned from AD 813-833. In the year 827, al-Ma’mun using his authority as Caliph, proclaimed that the Koran was created. In 833, al-Ma’mun instituted the Mihna to compel acceptance of his proclamation. The Mihna continued after al-Ma’mun’s death the same year, through the reigns of his successors al-Mu’tasim and al-Wathiq. The Caliph al-Mutawakkil ended the Mihna two years into his reign in the year 848. The Mihna, then, was not a permanent institution as the various European Inquisitions were, nor was its effects as immediately far reaching. The Mihna was primarily directed at government officials and Islamic scholars in the Caliph’s capital of Baghdad. Muslims out in the provinces and among the common people were not affected by this inquisition. The Mihna was still unpopular, however, since the men targeted by it were widely respected religious scholars and jurists, including Ahmad ibn-Hanbal, one of the most famous Islamic theologians and founder of the Hanbali school of jurisprudence. Like many such persecutions, the Mihna was a failure. The men targeted became martyrs and heroes of the faith. The Caliphs responsible were reviled as tyrants. In the longer run, the effects of the Mihna were devastating for the Mutazilites and perhaps for the Islamic world as a whole. The Mutazilites were seen, somewhat unfairly, as the sponsors of the Mihna and their faction and its teachings were increasingly discredited afterwards. By the year 1000, the Mutazilites were universally viewed as heretics, a judgment that has continued to this day. More unfortunately, Greek philosophy,with its emphasis on the use of reason was also discredited, which may have been a leading cause in the decline of science in the Islamic world after around 1000. In order to do science, the thinker must believe that the world is a rational place, governed by rational laws that can be discovered by the human mind. If one believes that the world is governed by the arbitrary dictates of a deity beyond human understand, then it may be possible to make chance empirical discoveries, but there is less motivation to try to fit such discoveries into consistent, logical world view. It is strange that the Islamic Inquisition ended up doing more damage to Islamic progress than the longer lasting and more extensive Christian Inquisitions did to progress in Europe. The history of the Islamic world seems to be full of these sorts of wrong turns and I have to wonder whether there is something in Islam, perhaps less tolerant of free thought than Christianity ever has been, even at its worst. Or, perhaps the backlash against the intolerance of the Islamic Inquisition ended up being greater intolerance, while the backlash against the Christian Inquisitions was to ultimately discredit the idea of religious coercion. Such questions, perhaps, are unanswerable. Who Were the Kharijis? | Lost Islamic History (trendingnewsz.com) Good question. Perhaps I should write a post about them.